View More In Hunting Bags & Belts - Page 2. 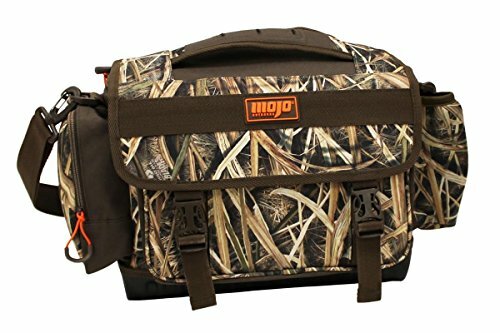 MOJO's first bag, the Flock a flicker decoy bag in 2017, was such a hit that mojo is now launching its first ever bag line. The mojo timber and blind bag was crafted with a durable water-resistant material in the Mossy oak blades camo, and a heavy-duty compression molded bottom to withstand heavy use in the elements. A fully adjustable and padded shoulder strap maximizes comfort and convenience. This bag is ideal for carrying all of your hunting gear and accessories, including extra shells or choke tubes. Keep your cell phone or other small electronics safe and dry with a dedicated, waterproof interior pocket. A Hideaway Tree strap makes this versatile hunting bag perfect for both timber and blind setups.